An affidavit in the 1892 homestead application of Ekke Behrens of Weyerts, Nebraska, makes several good genealogical research points. 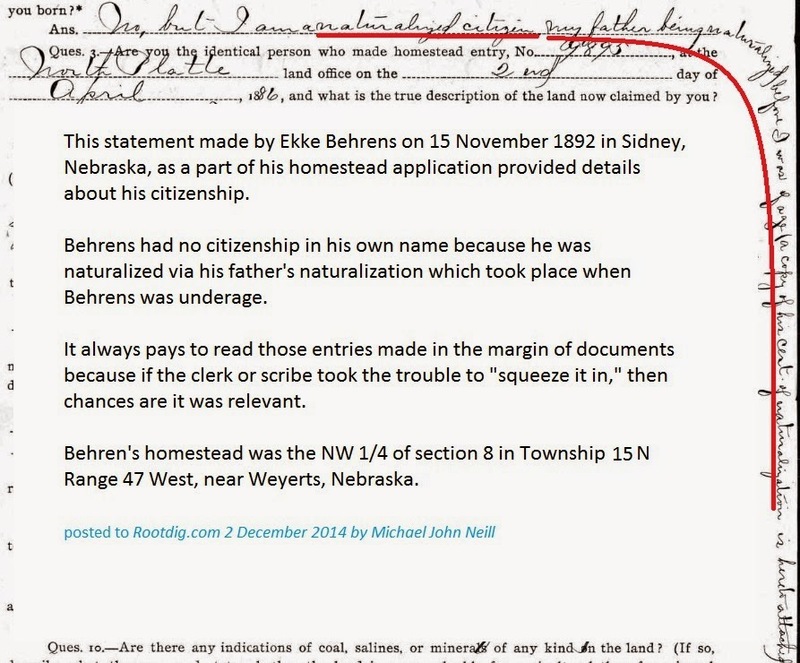 There is a naturalization record for Ekke Behrens in the homestead application of Ekke Behrens and on the surface I thought it was the naturalization for Ekke, the homestead applicant. Upon closer reading of this affidavit, it became clear that the naturalization was for Ekke’s father Ekke and not for Ekke the applicant. It always pays to read the entire file of any record and not to make assumptions. In looking at the naturalization record contained in the file, I thought that the naturalization year of 1867 seemed a little “off” to have been for Ekke the homestead applicant. I made a note about the seeming inconsistency in the date of naturalization given Ekke the homesteader’s age but thought that the 1867 date was probably a transcription error on the part of the clerk since the naturalization record in the homestead file was not the original record. This notation on Ekke’s final application for the homestead explained the age discrepancy. 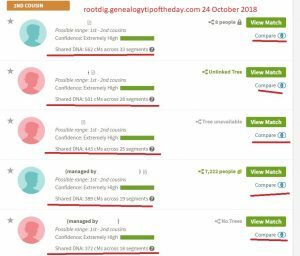 It would be easier if parents did not name children after themselves.